From establishing a budget to hiring a licensed contractor, tackling a home improvement project requires a solid plan in place to prevent wasted time and money. Murphy Home Improvement in Cincinnati, OH, has more than a 35-year track record of providing clients with professional and affordable design services and beautiful home makeovers. Establish A Plan: Create a thorough plan that includes a rough sketch of your design, estimates of costs for materials, labor and a time frame for the project’s completion. If you’ve committed to moving forward, start early by setting aside savings to help cover the costs. 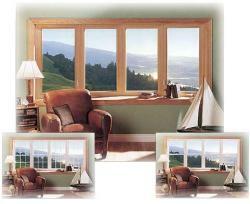 Ask the friendly staff at Murphy Home Improvement about their wide selections of windows and doors. Select A Reputable Contractor: It’s critical to work with a contractor that is licensed, reputable and can provide you with referrals from past customers. Murphy Home Improvement’s team of specialists have the experience and training to see your project through to the end. Murphy Home Improvement is a 3 time NARI National Contractor of the Year award winner. Consider Value Projects: If you’re planning to sell your house in the future, consider home improvement projects that could make the sale attractive to potential buyers. Exterior makeovers, new windows, and entry doors are great added values when selling your home. Get Inspired: Finding inspiration for your remodeling job can be exciting at first, but can quickly become overwhelming. Even if you have a vague idea, the designers at Murphy Home Improvement will gladly help you expand on it. Whether it’s the installation of doors or windows or roofing and siding, you’ll have access to a large selection of choices from the industry’s leading brands. Your home is your sanctuary, and elevating its beauty and function doesn’t have to be a difficult undertaking. Our showroom is the tri-states premier design facility, the fully-insured Murphy Home Improvement will walk with you step by step to help design, install and complete your project to your unique specifications. For a consultation, call Murphy Home Improvement today at (513) 922-8989 or stop by the showroom. Visit the website to learn more about additional services and to view their photo gallery.